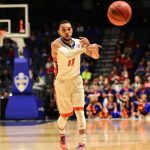 Wavering on respectability, Florida Gators basketball on Saturday has a chance to turn its entire season around when it hosts the No. 7 Kentucky Wildcats in the Stephen C. O’Connell Center. Through Florida has put up fights against the best programs it has faced to date, it has basically lost nearly every game against better competition. And with one recent exception, the Gators’ offense has not been able to keep it in contention against top 25 programs. The Wildcats have dominated this series all-time, though UF has surprisingly won three of the last four meetings. What will go down on Saturday afternoon? 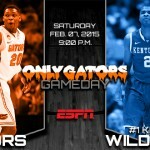 Let’s take a look at what you need to know and how you can watch Florida-Kentucky. No matter how you feel about the Gators’ play over their last few games, this team is not deep enough to be trusted going up against the Wildcats for 40 minutes — even at home. Does Florida have an opportunity to win this game? Absolutely. But when you’re picking in a scenario such as this, you’re looking at predicting the most likely outcome. And that would be a top-10 Kentucky team beating a team that is 0-4 against ranked opponents this season by more than three points, particularly considering the Wildcats have won seven straight and are winning games this season by an average of 13.3 points. The Gators would basically need a perfect outing for a home win, and a come down can be expected following that tough overtime win. With the possibility of either a tight game or clear win for UK, bank on the over. 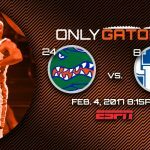 » Florida is 40-100 all-time against Kentucky with the Gators also at a 26-35 series disadvantage for games played in Gainesville. UK has won six of the last 10 against UF, but Saturday’s hosts have victories in three of the last four meetings and are 3-3 under White. » The Gators do not have a Quadrant 1 victory this season and are winless against ranked opponents (0-4). 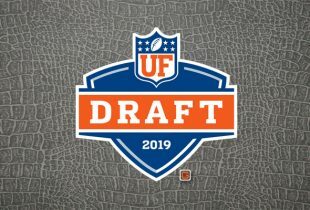 UF is 10-18 against AP Top 25 teams and 2-4 against top 10 teams under White. » Kentucky is 3-1 against top 25 teams this season with three such victories in their last four games played. » Florida has shot worse than 40 percent from the field in 10-of-20 games played this season. » The Gators did not have a 20-point scorer through their first 17 games. » Allen enters 12th in program history in scoring (1,560) and has an opportunity to enter the top five before the ending the season. He also has the best free throw percentage in program history (.875) and is fifth in three-point attempts (664) and seventh in makes (229). This will mark Allen’s 119th start, fifth-most in program history. » Hayes is third in program history with 188 blocks, one away from tying Al Horford for second.